Put a little more glitter and shine in your play. 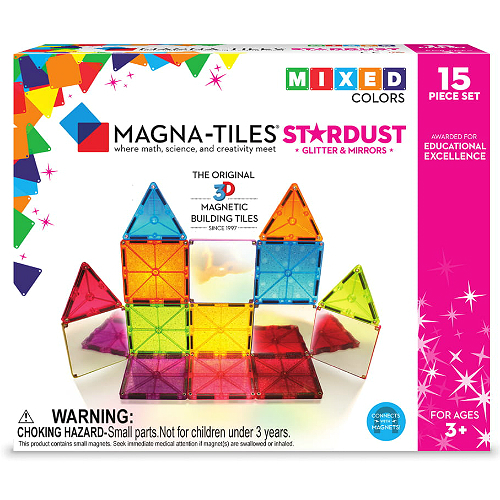 Magna-Tiles Stardust has mirrored tiles and tiles with glitter. 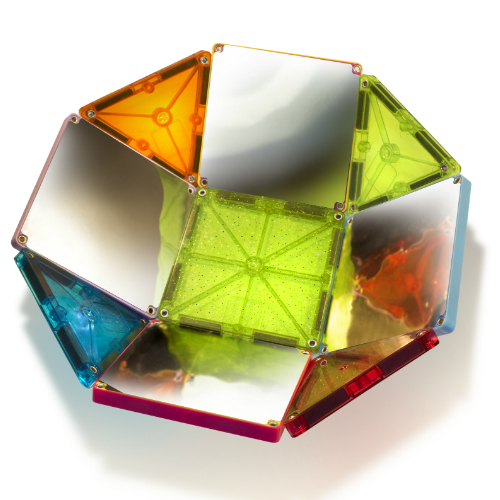 Kids will not know that they are exploring math and science concepts as they play with Magna-Tiles. Build flat or build 3D structures. 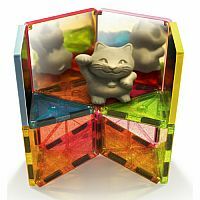 The shapes are magnetically engineered to attract on all sides, even when flipped around. 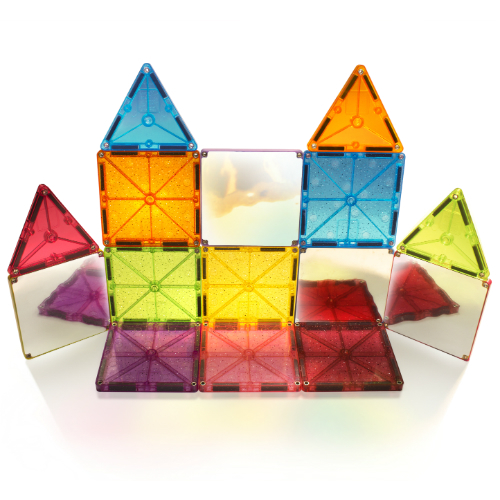 This 15 piece set includes 4 Mirrored Squares, 7 Glitter Squares, and 4 Equilateral Triangles. Glitter pieces are translucent and the sparkle and morror pieces reflect on one side and are opaque on the other. Can be combined with other Magna-tile sets for added play value.